Brainstorming Tips and Tricks Workshop in Seattle - SparkFire, Inc. 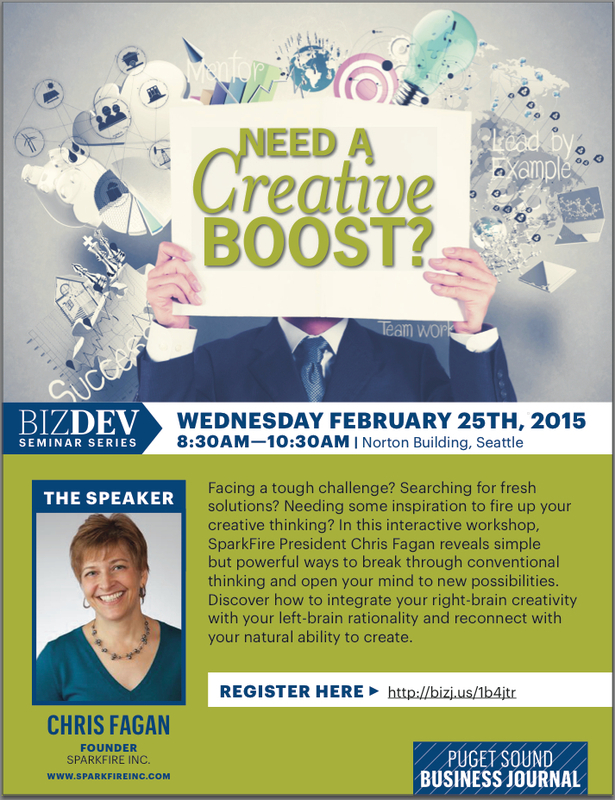 This Biz Development workshop, sponsored by the Puget Sound Business Journal, will take place on February 25th from 8:30am – 10:30am. The workshop is open to the public. Cost is $65. Sign up here. Learn more about SparkFire here.